PA online gambling market could be even bigger than NJ gambling market! As the official countdown towards the online application process starts, rumors are circulating. Indeed, there are only two weeks to go until everyone submits there files to get an online license… And given the interest from operators, all signs point to Pa’s success. In fact, some even say PA’s gambling revenues could surpass NJ within a few years of operation. Granted that Pa is six years behind NJ and there’s a bit of catching up to do. But the Pa industry is attracting a lot of big names and investors. Which means many see Pa as an emerging market and they’re willing to put money on that. Without further ado, let’s see who’s investing in the Pa online casino industry. In case you didn’t know PokerStars (Amaya Gaming) tried to buy the Atlantic Club Casino Hotel some time ago. Perhaps in the hope to get an early foot in the PA online gambling industry, who knows? But under the current terms, only brick and mortar casinos can venture online. 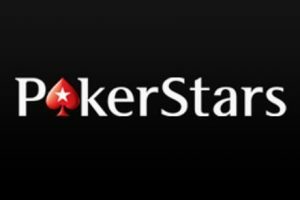 And since PokerStars are such a big online name, it’s easy to draw a conclusion. For now, they’re no other rumors circulating around Amaya Gaming investing in PA. However, it’s worth knowing that Amaya is not short of liquidity since they’ve just sold NYX Gaming to Scientific Games for several million. As you know, when it comes to poker, patience is key! And we’ve got a gut feeling PokerStars are still opened to an online venture in PA. If you’ve been following the headlines, you already know that Penn National bought Pinnacle as part of their recent deal with the Meadows Racetrack & Casino. It’s a major shift in the industry, and you can read more about it in our news section. After the sale of its social gaming company Big Fish Gaming, Churchill Down too is not short of liquidity, and they’re investing some in PA. Indeed if you remembered last week, we’ve reported they had bought Presque Isle, most probably to venture online, since they’re expert in that field! It’s a nail-biting time as we wait for the PGCB to know who won the bids for the 13 online licenses. If you’re like us, you’re probably itching to play and try new games! But, there’s only a few months left to wait.. So its almost over!